A great read overall… not quite Three Cups Of Tea, but inspiring nonetheless. 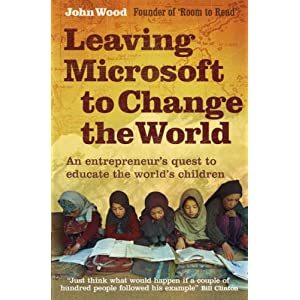 Unlike Greg Mortenson, John Wood started out from a very strong position as a senior exec at Microsoft. It’s fascinating to see how he uses lessons from his past life working with highly driven people like Steve Ballmer to create a non profit that has improved education for more than 4 million children in Bangladesh, Cambodia, India, Laos, Nepal, South Africa, Sri Lanka, Vietnam and Zambia. As well as making you want to jack it all in for something more meaningful, it’s got some half decent business lessons in there. If you had to make the choice, I’d go with Three Cups of Tea every time, but this is still a cracker.